From September 2018, The Library Project goes mobile in a modest but ambitious project. Thanks to the work done to adapt an ex-AnPost van into a mobile library, we will be able to bring the PhotoIreland Foundation Collection well beyond our parish and into foreign lands. To start with, TLP Mobile will head to mainland Europe to join Unseen Fair in Amsterdam (21–23 Sep). In Amsterdam, the Unseen Fair is programming an exciting series of events for the Futures Platform showcasing works by Irish artists Barry W Hughes, Roisin White, Ciaran Og Arnold, Miriam O’Connor, and Jamin Keogh. This year, we will have presence at the Unseen Book Market where we will host book signings like that of Shane Lynam’s ‘Fifty High Seasons’, while promoting the growing number of Irish publications around the discipline. Julia Gelezova, PhotoIreland Foundation General Manager, will be on hand to inform visitors about emerging and established artists from and based in Ireland. The Library Project mobile unit, purposely built for this occasion, will be parked at a key location beside the main venue where visitors can enjoy access to a wealth of photobooks, in a welcoming and casual setting. Contributing to this year’s focus on photobook collecting, the mobile library brings to Amsterdam a selection of the most significant and unusual items from the PhotoIreland Foundation Collection. Some of these have been loaned for exhibitions such as Moritz Neumüller’s Photobook Phenomenon in Barcelona last year. Irish photobooks are key component of the collection and during the weekend over 30 great recent ones will be on display and available to browse, including some one-offs, dummies, and limited editions. 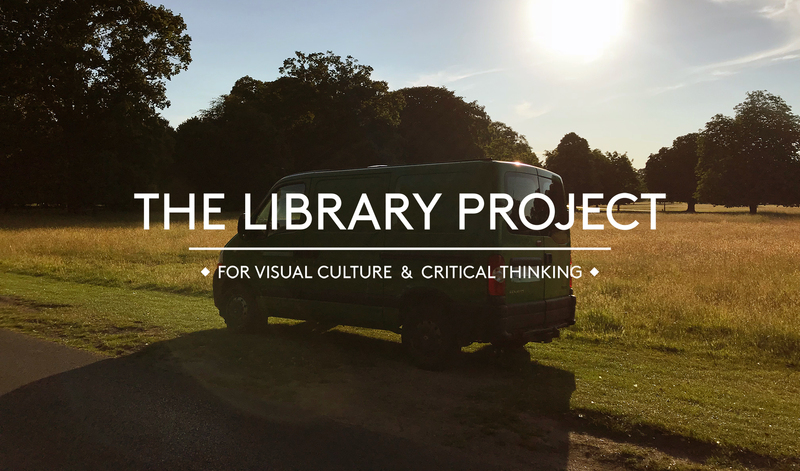 The Library Project mobile unit will be host to free talks – to be announced. All in all,The Library Project mobile unit aims to bring a unique experience to Unseen, where audiences will discover contemporary and relevant photographic practices from Ireland and beyond. With the modest size of the mobile unit comes the ambition of sharing knowledge with engaged visitors, in an informal, fun and unexpected venue. PhotoIreland Foundation receives no support from public bodies to run The Library Project, and welcomes donations from individuals wanting to support and contribute to this unique resource. You can become a patron and earn great rewards from as little as €1.50 a month at patreon.com/PhotoIreland.